Many website owners pay close attention to their site’s movement on search engine results pages. For many business owners, the viability of their sites depends on them being visible in search and receiving a large amount of traffic. Anyone who has noticed a recent change in their Google SEO rankings, there’s good news and bad news. Google recently confirmed that they made a change to the core search algorithm, but there’s little site owners can do to address any SEO ranking issues it caused. Last week, many SEO analysts began to suspect that something had recently changed with Google due to noticeable changes to the rankings of the sites they manage. This wasn’t a major update, but enough changed that people began to talk about it. And they talked about it so much, Google took the unusual step of confirming the minor update in a post on Twitter. Unfortunately, Google didn’t really explained what had changed. The phrase “previously under-rewarded” pages seems to suggest that the update balances out ranking factors that were over emphasizing some pages. In a way, this action shows the limitations of gimmick-based SEO. Whenever someone thinks they’ve found a trick to boost SEO, it’s only a matter of time before the platform changes their algorithm to address the imbalance. As with any algorithm update, the new algorithm will have winners and losers. Unfortunately, any site on the losing side of the equation has little option to immediately improve their rankings. Though website owners with falling rankings would disagree, Google says that there’s nothing to “fix” in these situations. So websites that lose traffic as a result of the algorithm change don’t have a way to do something that can immediately improve their sites ranking or return them to the algorithms good graces. As always, Google’s suggestion in this situation is for website owners to not worry about the update and to focus on creating content, which could boost their SEO rankings over time. Google’s advice isn’t wrong, but it’s not what people want to hear when they saw that their site’s ranking has fallen. People who are losing traffic today, aren’t content to hear that they may see the traffic return several months from now. But that is the truth of SEO, it takes time for positive actions to have a noticeable effect on SEO. 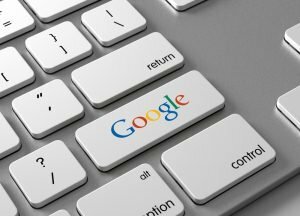 And in this situation Google has made it clear that the changes are simply part of the new Google algorithm and website owners will have to adjust. With that in mind, keep an eye on your own website rankings. If you notice your rankings drop, it may be time for an SEO review to fix any minor issues that could be harming your SEO. Also, adding more new content can help negate the negative effects of the algorithm change. For more recent news about Google, read this article on changes to the Google AMP format.